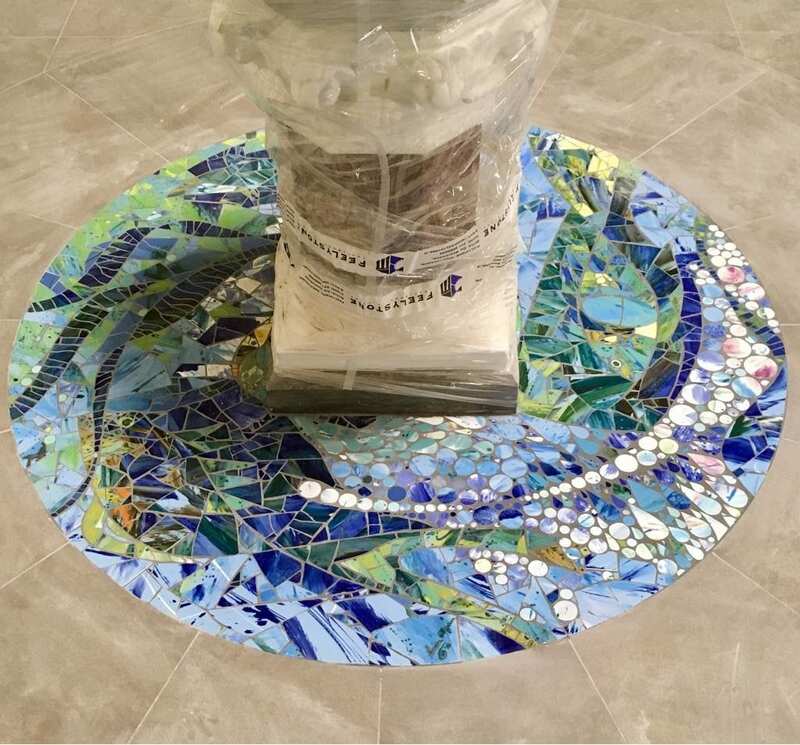 A mosaic of porcelain and glass, inspired by the sacrament of baptism and some of the building’s original architectural features. Bubbles represent water, teardrops represent oil and fish represent life. Installed in Knock Parish Church, County Mayo.